Pride GB Security Services has over 20 years of experience in the security industry. 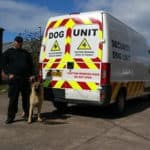 We specialise in providing mobile security officers, static patrols, key holding services, security dogs, and alarm response to ensure the security of retail parks, construction sites, factories, warehouses, and open storage in West Bromwich and the West Midlands. 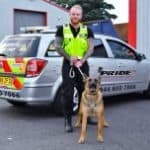 Pride GB provides highly skilled, fully licensed, formidable static security guards who can undertake any assignment at any time. Our service is tailored to suit your needs and our high security standards are guaranteed at all times. 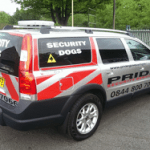 Pride GB’s mobile patrol service is designed to provide an effective and highly visible deterrent against intruders. Ideal for those who do not require constant security, our professional, uniformed, and highly trained officers can patrol your premises whenever you need them. Contact Pride GB today to discover more about our outstanding security services and ensure your premises is protected against intruders.